100 square inch and 317g strung. 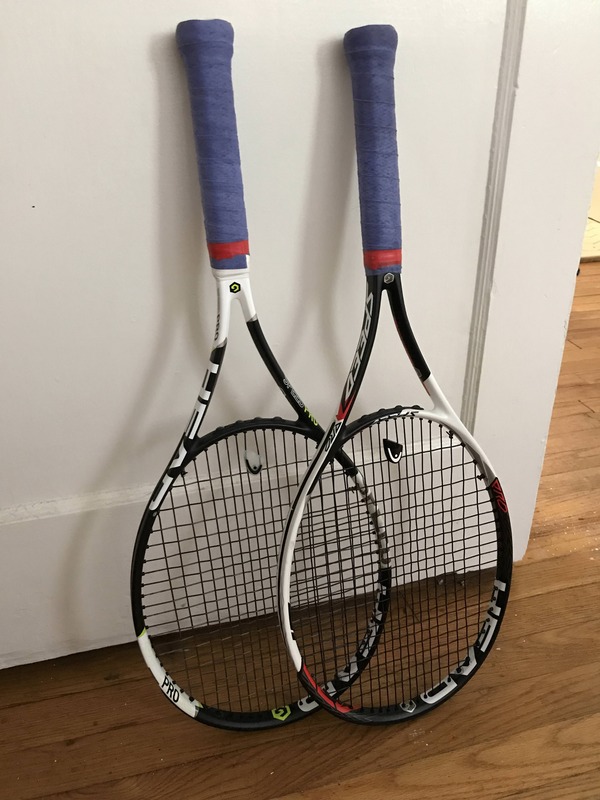 (It's the black and white frame with a bit of red added ) The Speed Pro is the same frame but heavier at 331g strung- not yet tried this version. MP Touch is not that head light at only 4-5 points HL. Speed Pro is 7points HL. I tried the Graphene MP Touch today for the first time and was very impressed but that may well have been the Luxillon Big Banger aluminium string! The combo felt quite springy so it had a lot of power,it gripped the ball superb and control / spin was great. It produces a nice arc on the ball even when I wasn't really trying to hit with much topspin! 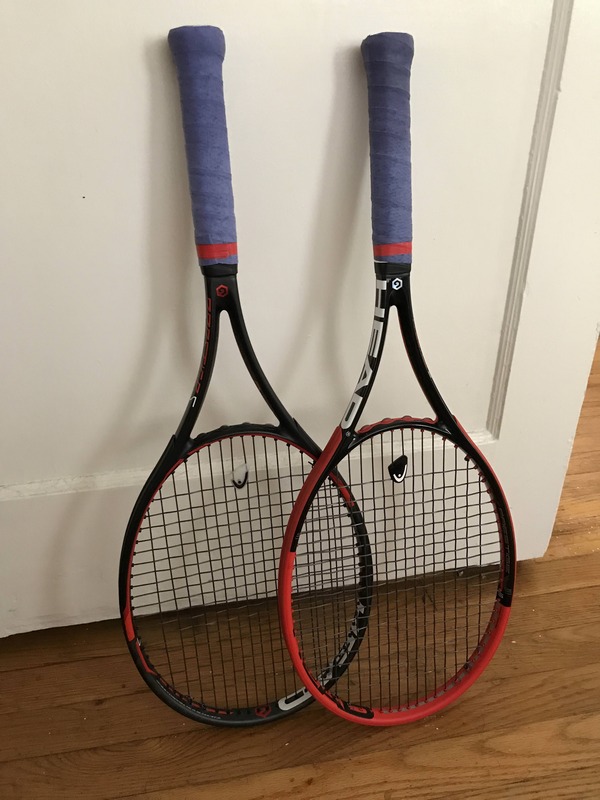 Comparing it with other players frames - I was definitely playing with more control with this Head racquet. Going to play a few sets with it tomorrow if not raining and will get back to you. whats this about a speed pro? 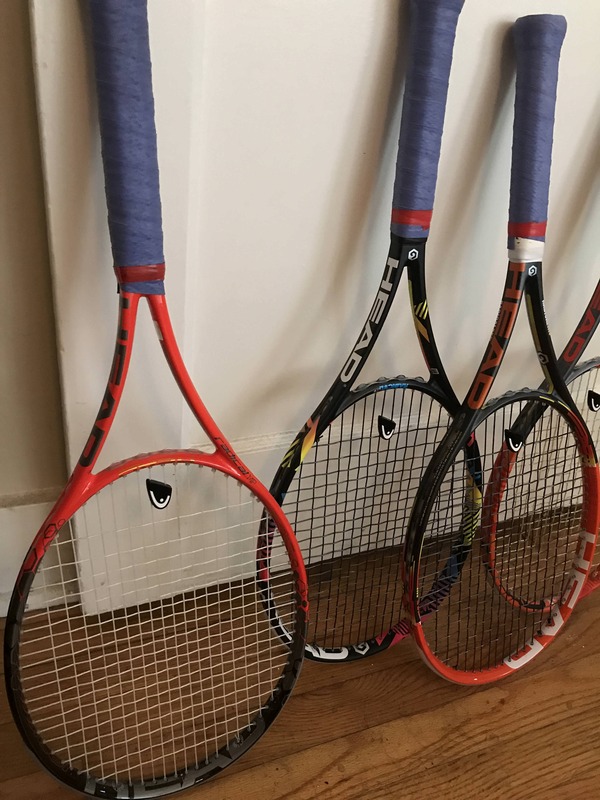 Mate, are you hoarding Head racquets or something?! 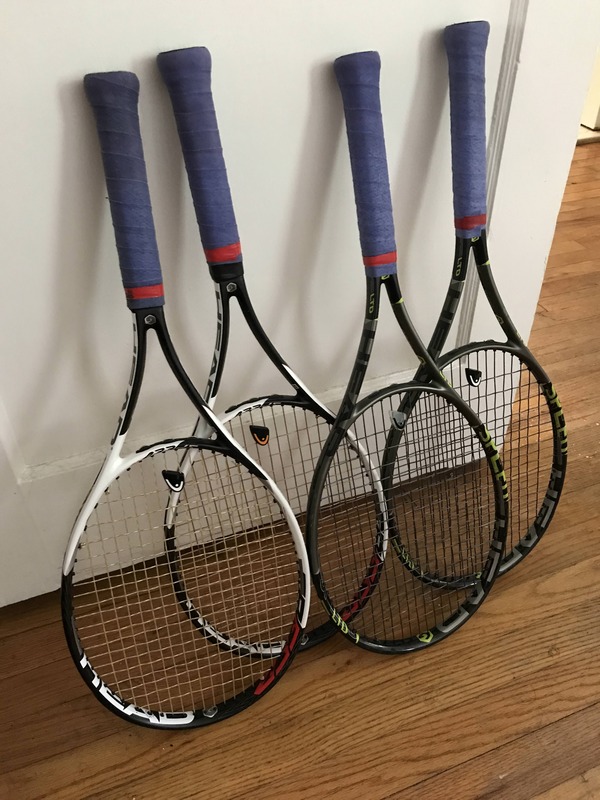 I have a similar Head racquet addiction as yourself, but also have Extremes as well. 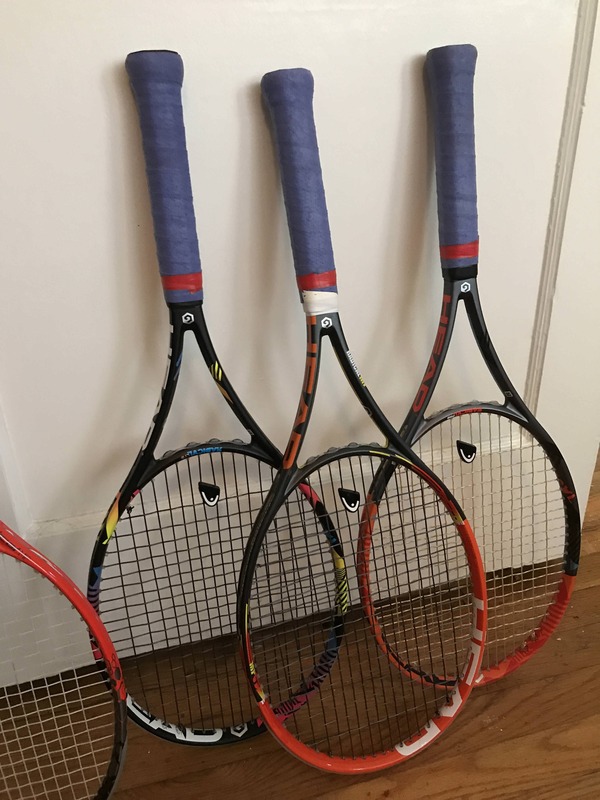 The line of Head racquets I haven't owned or tried is the Instinct range. Just cant bring myself to try em, had to draw a line in the sand. Come on @n8dawg6... you're missing the best looking one, and the XT MP (not MPA) without that hideous paintjob. Up your game man! Definitely interested in seeing the touch radical after they botched the xt mp ltd paintjob. I've never hit with the speed pro. You should try 4-5g of lead at 10/2 on the radical. botched the xt mp ltd paintjob. one thing i will say ... it gets a LOT of attention at league matches. like "what the **** is that???" type of attention. Still waiting to hear back on how those sets went! 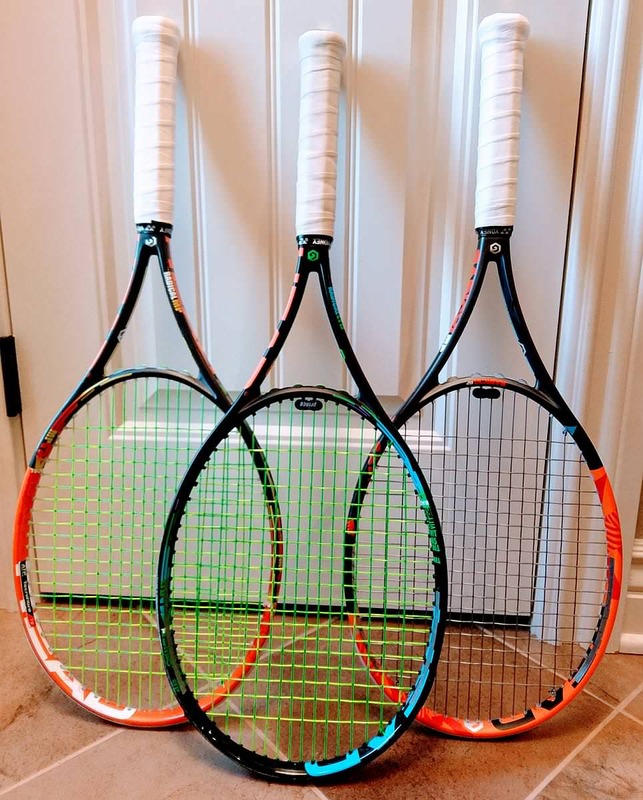 Also, what racquet are you switching from, and which other new ones have you tried? BTW... The rest of you are friggin nuts and I love it! lol It's good to know I'm not the only one with these kind of issues. Maybe we should start a support group? The new Speed Pro addresses this completely. Try tail weighting it - leather grip or lead.